Scott Beach (born Alvin Scott Beach) was born on January 13, 1931 to Marcus H. Beach (a Broker) and Thelma M. Beach (née Thompson) in Portland, Multnomah, OR, US. He had two brothers, Marcus and Alvin, and a sister, Donna. "He used to say, 'I am more than an intersection in the Marina.'" (referring to the name of the two streets downtown, Scott and Beach) and he was a regular at North Beach and a D (Classical music station). 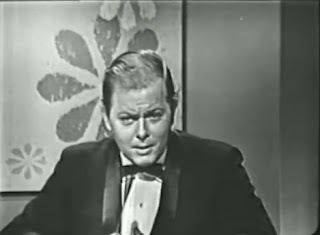 Scott had appeared on a show that was probably rarely seen outside the San Francisco area. It was taped there and was hosted by Jim Lange (The Newlywed Game in which Scott was an announcer). The show was called "Oh My Word". There were two contestants, mostly regular folks, though they used celebrity guests toward the end of their run. 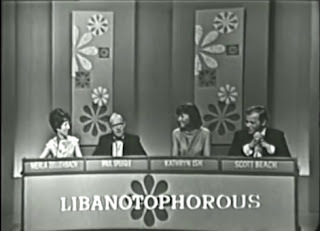 The contestants had to listen to a word, listen to the panelists give their definition of the word, and then had to figure out which panelist had the correct definition. Scott had an uncanny and tremendously convincing knack of making a false meaning sound believable and the true meaning sound like it was a complete fabrication. Original member of Improv Comedy Troup "The Committee" in San Francisco, CA in mid '60's. 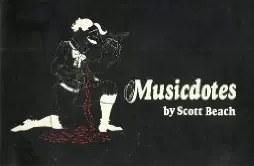 Scott was also skilled in building, by hand, Renaissance instruments such as the Dulcimer and the Hurdy-Gurdy. Scott Beach died on February 13, 1996 in San Francisco, CA. Star Wars~1977- (uncredited) Stormtrooper voice "The Death Star plans are NOT in the main computer.."
Garfield~1980- First voice of Garfield in the commercials and test animations. 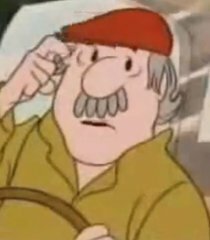 All-Star Baseball (aka RealSports Baseball)~1983 - voices the words: "Yer Out", "Ball", "Foul", "Foul Ball", "Walk", and "Home Run"
1980 - Was the voice of Garfield when the character made his first animated appearance on TV, which was later voiced by Lorenzo Music. 1979 - After Harvey Milk's assassination Beach became a candidate for supervisor (or mayor?) of San Francisco. 1966 - Was originally hired as host of the Newlywed Game by Chuck Barris. Beach was hired to warm up the audience. On his first day, Beach sang anti-Vietnam was songs...the next day he was let go. Lord Mayor of the Renaissance Pleasure Faire in Marin County, CA annually.